"Are you okay?" Hazelflower asked while Skypaw recovered, still looking at where the eyes disappeared. "Yes," Skypaw meowed, slowly tearing her eyes to Hazelflower. The black she-cat had worry in her hazel eyes. "Let&apos;s go, then," Hazelflower dismissed the issue, but Skypaw couldn&apos;t miss the uncertainty in her mentor&apos;s voice. Skypaw knew that she had seen the amber eyes of Willowleaf. Anger boiled up inside of her when she realized that it was too dangerous for the former medicine cat to be roaming around ThunderClan territory. She has no battle skill and Sunstar would surely have her killed if she was caught! Skypaw dropped into a hunter&apos;s crouch when she drew in the fresh scent of mouse. Keeping her tail still and her eyes focused, she slowly crept forward. She was well aware of Hazelflower&apos;s eyes following her every move, but she didn&apos;t let it distract her. The brown creature soon came into sight. It was nibbling on a beech nut, oblivious to Skypaw preying on it. As silent as a snake, Skypaw leaped, claws unsheathed. Her claws sank into its fur as it scrambled its tiny paws trying to get free of her grip, but Skypaw swiftly bit its neck before it could realize what was happening. She stood back on her paws, her catch dangling from her jaws. Hazelflower&apos;s eyes were shining with pride. "Well done!" Her mentor praised, and Skypaw took a moment to appreciate it. "Thanks!" Skypaw replied. She refrained from doing what some other warriors did, which was covering dirt over their prey and coming to get it later. She hated it when her Clanmates did that, for the taste of dirt made her want to gag. She ate it anyway, because she knew that she should be thankful she had any prey at all. Thanking StarClan for its life, she set off through her territory again, the scent of freshly caught mouse making her mouth water. She scanned the terrain, giving off the impression she was looking for any signs of prey. However, she was looking for those amber eyes that had caught her off guard. She grew more and more relieved when she saw no signs of Willowleaf as the moments went on. The new loner had even done an excellent job of covering up her scent, and as Skypaw thought about it, she hadn&apos;t caught any scent of Willowleaf whatsoever. Hazelflower and Skypaw had to make two trips to gather all of the fresh kill they had caught. They had hunted for hours, for it was now dusk. 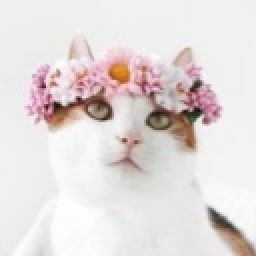 Skypaw had a growing headache due to the lack of food, and she thought about going to go see Willowleaf for something so she could continue her hunt undisturbed. Her heart sank when she remembered her friend was out there in the wilderness, all alone. She heard murmurs of praise and purrs as hungry warriors admired the stack of prey that now towered over the fresh kill pile. Skypaw&apos;s pelt rushed with pride, and she could tell Hazelflower was feeling the same way. Her paws filled with joy as she turned to see two sets of happy eyes strolling toward her. As Shadepaw and Rainpaw came within earshot, Skypaw called out a greeting to her siblings. "Hi!" Her mew was filled with happiness. Her sisters thought of her as a friend at last. "Skypaw!" Rainpaw and Shadepaw said in unison. Their eyes were bright, and Skypaw took a moment to realize that none of the littermates had the same features. Skypaw&apos;s silver tabby pelt looked similar to Rainpaw&apos;s dark gray tabby one, but not the same. Shadepaw&apos;s shadowy, almost black, pelt stood out. Skypaw and Rainpaw still had blue eyes, but Skypaw&apos;s looked more like the sky and Rainpaw&apos;s the lake. Shadepaw&apos;s green eyes casted her out of the similarities all together. The more Skypaw thought about it, the more she grew to like it. She liked being her own cat, with her own appearance that made her herself. Suddenly, a picture of Littlepaw from the battle with ShadowClan appeared in her mind. She quickly shoved it away. As Littlepaw faded from her mind, a friendly tom-cat replaced it. She quickly recongized Hawkspirit, and how he was always willing to talk to her and be friendly. She wondered how he was doing as a full medicine cat. ShadowClan better not take him for granted. Skypaw found herself confused when she was thinking of ShadowClan&apos;s medicine cat. She shook her head to clear it. "We were wondering if you wanted to eat with us," Rainpaw asked. Shadepaw nodded as if to agree. "I would love to," Skypaw purred her answer. Choosing a plump vole, caught by Hazelflower, she followed her sisters into the shade of the weeping willow. She gazed up at its leaves, wondering if she&apos;d ever receive a sign from StarClan that way again. Who was she kidding, StarClan didn&apos;t need to send her signs! Skypaw was still a normal apprentice, Willowleaf would surely receive them instead. She knew for a fact that Sunstar&apos;s foolish exile would not stop her warrior ancestors from keeping contact with Willowleaf. Skypaw wouldn&apos;t even be surprised if the former medicine cat still showed up at the Moonpool at half moon. Willowleaf! Skypaw yelled at herself inside of her head. I forgot to meet her! Skypaw was about to jump to her paws and race to the Gathering island, but she quickly calmed herself down. Her littermates would question her, and the farther night fell over the camp, the more protective the warriors would be. "I can&apos;t believe how much you and Hazelflower caught!" Rainpaw purred, still gazing at the fresh kill pile. "We won&apos;t need to hunt for moons," Shadepaw joked. Purrs of amusement rose from the siblings. 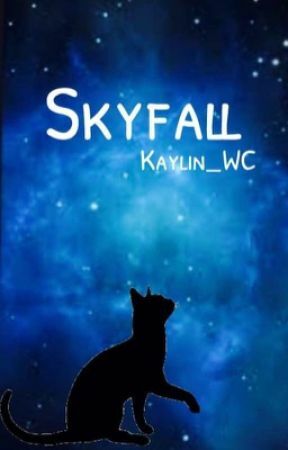 "I didn&apos;t even notice that it was dusk," Skypaw added on to the conversation. "I probably would have hunted all night!" "Until Sunstar sent out his patrols for any signs of Willowleaf," Rainpaw spat. Shadepaw shuffled her paws uncomfortably. "She betrayed ThunderClan," Shadepaw meowed quietly. "He wants to make sure she doesn&apos;t come back." Skypaw and Rainpaw shot sharp looks at Shadepaw. "No she didn&apos;t!" Skypaw meowed, defense creeping into her voice slightly, but not enough to make the shadowy apprentice feel threatened. "I was there," She added. "Medicine cats don&apos;t participate in battles between Clans," Rainpaw meowed softly. "She had no reason to help ShadowClan, and neither did ShadowClan&apos;s medicine cats." "But still," Shadepaw defended herself. "How coincidental that Nightflare and Hawkspirit showed up to talk to Willowleaf a few seconds before their Clan tried to take over our forest?" Skypaw remembered that Nightflare had mentioned that Dapplestar was ill. As far as Skypaw could recall, Willowleaf hadn&apos;t mentioned that to Sunstar before she was exiled. Skypaw decided to keep that information to herself. "Everything happens for a reason," Skypaw meowed. Her sisters nodded in agreement. "It&apos;s over with, we won the battle and any &apos;threat&apos; Willowleaf put to ThunderClan is gone." "You&apos;re right," Shadepaw meowed. "No need to talk about it now." After the three littermates finished their meals, they padded into the apprentice den. Curling up in the positions they were in the night before, Skypaw waited for her sisters&apos; breathing to slow, signalling sleep. She quietly padded to the back of the den. Using her claws to tear a little opening through the brambles and twigs that made up the apprentices&apos; den, she squeezed through it. Her pelt pricked with pain as brambles snagged her and twigs stabbed her, but she kept going until she was free. Exiting camp throught the dirt place tunnel, she bolted across the territory on her way to meet Willowleaf. Vote and comment! I love reading your feedback.